and stay in a winery estate dating from the 19th century! Vina Santa Rita owns fertile lands in four great wine producing valleys. Different soil characteristics and climates have made it possible to produce several high quality vinestocks. 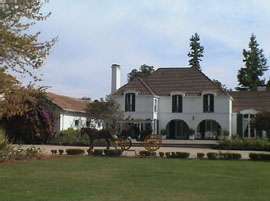 The main property is located in the Maipo Valley at Alto Jahuel. Domingo Fernández Concha founded the Vina Santa Rita cellars in 1880. 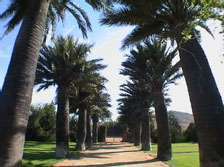 French technology was imported for their construction, and the company currently has four cellars located at Alto Jahuel, Los Lirios, Palmilla and Lontué. French and American oak barrels are used in the aging cellars, where wine acquires complexity and body with a woody flavor and a soft and delicate aroma. One of Chile's oldest aging cellars is located in Alto Jahuel (Buin), where Vina Santa Rita's best wines for export, like Casa Real and Medalla Real Cabernet Sauvignon, are aged.This cellar was built by French stone masons and is a National Monument. V illa Casa Real: This old master house was owned by Domingo Fernández Concha, founder of Vina Santa Rita. 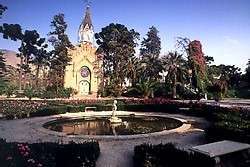 It has a 40-hectare park created in 1882 by French landscape designer Guillermo Renner. 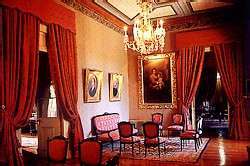 The house was restored in 1996 as the beautiful Casa Real Hotel. The large Pompeian-style house has 16 charming guest rooms, all with private bathrooms, hot water, heat and air-conditioning. Old and modern features are combined in the hotel. Teardrop lamps, pictures, tapestries and armoires blend in harmoniously with the contemporary decor without abandoning the classic style. In 1885, the French architect Teodoro Burchard finished building the Neo-Gothic chapel located adjacent to the old master house. Only 50 km from Santiago center you will find this hideaway, surrounded by the high cliffs of the Andes in the Maipo Canyon. The concept is based on a unique alternative to stay in the midst of the Andes Mountains near the Maip0 Wine Valley, instead of Santiago City. This implies clean air while having the possibility of visiting old wineries, horseback riding, trekking and relaxing in a natural and beautiful atmosphere. Opened in September 2007, this all-inclusive lodge combines the best of the Andean central zone in Chile, with emphasis on nature, customized premium attention, tour services, privacy, silence and leisure. The San Alfonso presently has eight elegant rooms with all of the latest comfort and amenities. It has, in addition, outdoor swimming pool, spa, a beautiful park, cable TV, central heating, massages, telephone, free internet, parking, laundry and gourmet meals. 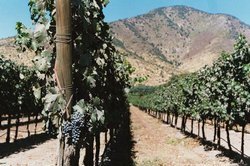 Optional sightseeing can be booked such as the wine routes of the Maipo Valley, horseback riding in the Andes (basic and advanced level), trekking, (several options), and thermal waters. *Triple rooms are not available. Single supplement applies for third person in a single room. Rates Include: Full-Day Maipo Valley Wine tour with two tastings and lunch, overnight at the Villa Casa Real including tax & breakfast, and return transfer to Santiago hotel or airport. All transport is via private car or van with a driver and guide. Note: Triple rooms are not available. 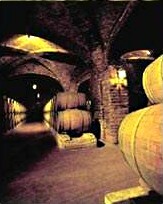 Rates Include: Day 1 Transfer to Colchagua Wine Valley via seat-in-motorcoach with two wine tastings and lunch. 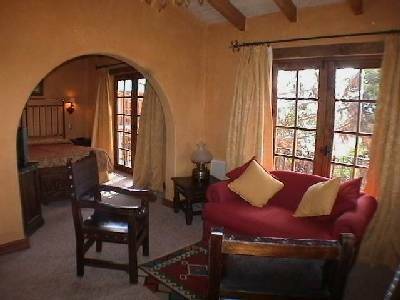 Overnight at the Hotel Santa Cruz Plaza including tax & breakfast. Day 2: Transfer to Santa Cruz and overnight at the Santa Cruz Plaza Hotel including tax & breakfast. Day 2 as per above. Day 3 as per above. All transport is via private car or van with a driver and guide, except for Day 1, which is via shared vehicle with a guide. Come linger a while in a part of Chile few have seen! Now you can discover a special region never before open to visitors, take in the sweet smell of the countryside, the green of a fertile valley and the elegance of antique wineries. You can taste wine at the most important vineyards of the Colchagua Valley: MontGras, Viu Manent, Bisquertt and Santa Laura. The hidden valley of Colchagua has long been home to some of Chile's finest wine-producing families. Here, you will have a unique opportunity to experience a true slice of Chile, unspoiled and elegant. Lodge at the elegant neo-colonial Hotel Plaza in the village of Santa Cruz. Although first opened in 2001, it seamlessly blends in with the traditional architecture of this small town. The 44-room, four-story structure is built in colonial style with balconies and trailing geraniums. The interior of the hotel was lovingly adorned with hand-carved doors and furniture, custom murals, a private collection of colonial art and stained-glass windows depicting wine-making scenes. The dining room with stone friezes and hand-painted murals opens to an outdoor dining area in the gracious courtyard with a fountain, a pool with a swim-up bar, peaceful gardens and, of course, a wine tasting salon. On Saturdays you can enhance the tour with a trip back in time, highlighting a restored steam locomotive and wine train that makes the 90-minute run from the city of San Fernando to Santa Cruz, passing by some of Colcahgua Valley's main vineyards on the way. While on board you will have the opportunity to taste wines, accompanied by appetizers, while a Chilean folklore singer entertains you with his songs. Single supplement applies for third person. 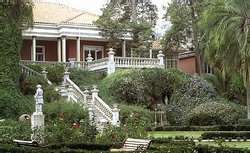 Rates Include: Two days' transportation with a driver, English guide in the Colchagua Valley, meals as indicated & overnight at the Plaza Hotel including tax & breakfast. Note: Some wineries are closed Sundays or Mondays, and the museums are closed on Mondays. On Saturdays a special wine train operates to Santa Cruz.